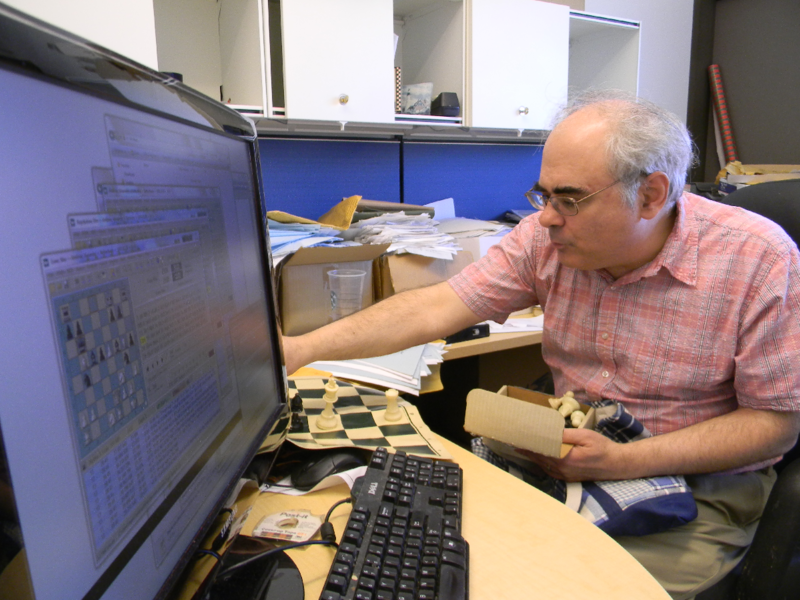 Cataloging chess moves and scenarios allows University at Buffalo professor Kenneth Regan to determine the likelihood of cheating in chess. In recent years, there have been more accusations of cheating in chess, due in part to the proliferation of smart phones and pocket computers. Now, a professor in Buffalo claims he’s found a way root it out. But mathematician Kenneth Regan’s methods aren’t accepted by everyone. Every chess player has his or her own style. Russian Vladimir Kramnik likes to take bathroom breaks during matches. That got him in some trouble five years ago. The Russian forcefully denied the allegations, but how could he prove it? Regan says a cloud of suspicion descended on the Grand Master after his final moves were revealed to match the suggestions of two widely-used computer chess programs, Fritz and Rybka. But many of Kramnik’s moves were forced, meaning there was no other move he could make to either stay in the game or not lose game pieces. Regan ran a sophisticated statistical analysis of Kramnik’s optional moves that showed he simply chose the right moves, while his opponent made questionable decisions. Regan didn’t stop with that match. Sitting at a computer in his University at Buffalo office, four simultaneous games are playing out in front of him. “This is in fact a game from the 1937 world championship match where Alexander Alekhine regained his title,” Regan says. The game is just one of the more than 200,000 now in his database. As the games play out, Regan records the computer’s “opinion” of how the players perform. “So here the computer is saying [the white player’s] best move to push the King pawn forward, E6. A sacrifice that [Alekhine’s opponent] the Dutch player Max Euwe evidently didn’t notice,” he says. The computer will eventually observe nearly all possible chess moves. From there, future matches can be analyzed and scrutinized. But Regan admits his methods are not definitive. Skeptics say it raises the specter of cheating where there may be none. This controversy plays out on Internet message boards, which Regan checks often. There’s also the charge that technology and deep statistical analysis strips the game of some of its soul. Regan’s an avid chess player himself. He argues that the essence of the game - two people trying to outsmart each other - endures. Boys and girls: Start your robots! They weren't quite the Transformers from the movies, but once the bell rang inside the Museum of Science and Technology in Syracuse, the robot's wheels turned, gears spun and metal arms extended. The VEX Robotics Competition was the culmination of weeks of engineering and problem solving for central New York students. You know how Facebook works: friends, family, “friends” all posting a steady stream of What’s Going On. Well, ThingWorx is like that - but with machines instead of people. 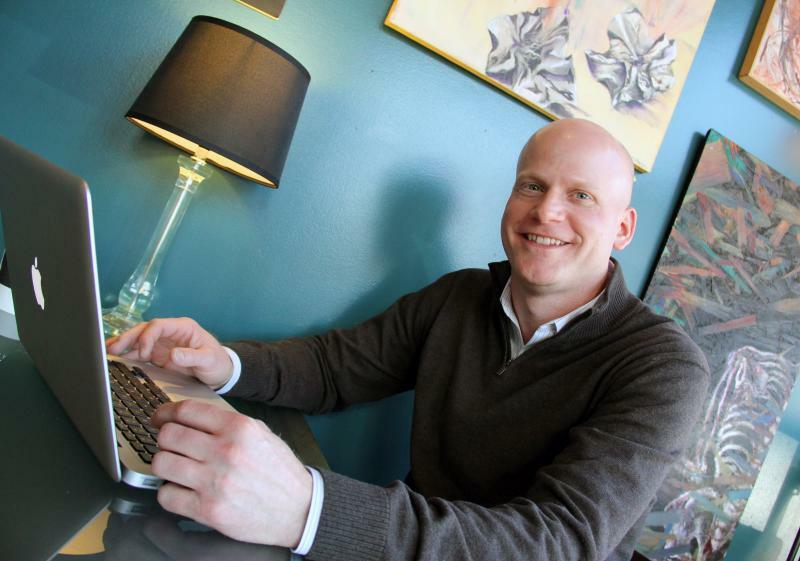 “We joke: the Facebook for devices,” says ThingWorx marketing director Chris Kuntz. “These are cars, these are buildings, these are appliances. They’re medical devices, they’re windmills, they’re bridges. That’s where ThingWorx comes in. It looks like an arcade game, with a 3-D, high definition screen and two arms to manipulate the action. It's a visceral, bloody environment - where newbies can make their mistakes without killing anyone. 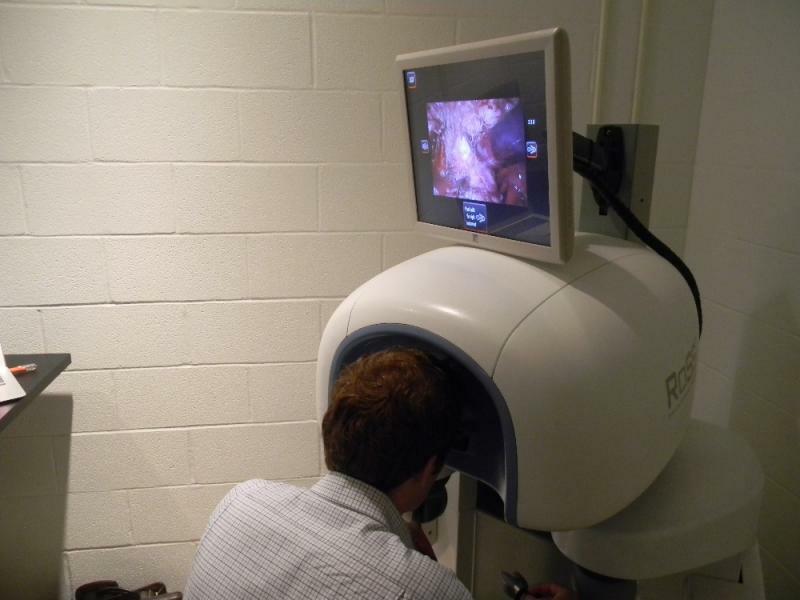 Meet RoSS, the Robotic Surgical Simulator.